This short e-book will delight anyone who follows football (soccer) or is a Nick Hornby fan. If you’re an Arsenal fan, you will love it. But even if you’re not, you will enjoy this story of a Premier League season. The focus here is on the emotional side of football. Heck, the book starts with “Uh-oh” and the following chapter proceeds to tell us about the impact money has off and on the pitch. In order to make it in the Premier League, Hornby explains, a team has to get itself a sheikh, an industrialist or an oligarch owner or (like United) simply be the richest club in the world. But that has real implications for the English fans who want a long-term relationship with their club and their players. They want to go and watch their club, their players compete for the cups that matter to them–the domestic cups. But the domestic cups don’t mean much to the owners of the Premier League teams. Unlike the fans, the owners care most about having a “long-term relationship with the prosperous clubs of Europe” and to them “the domestic cups aren’t really worth winning, which is why we watch our reserve teams competing for them.” Of course, both the fans and the owners want to see their team win the Premiership and the Champions League but unless you’re fan of a wealthy team that is unlikely to happen. Welcome to big money in soccer, I guess. But if this makes it sound like the book is a downer, it isn’t. This is just one of the stories Hornby tells of a season. There is also the story of Bolton’s Muamba who suffered a cardiac arrest on the pitch and whose life was saved in no small part by the quick thinking of Dr. Deaner who persuaded the stewards to let him onto the pitch. 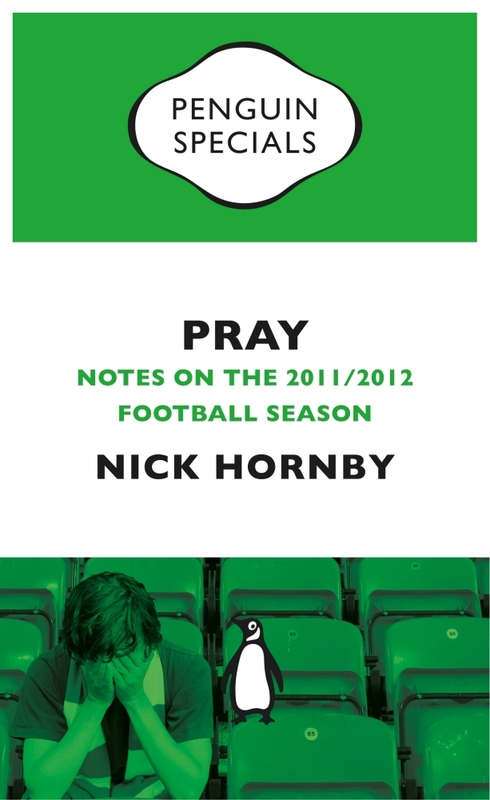 (Hornby notes that whether or not Muamba’s subsequent recovery needed Divine intervention, Divine intervention was surely needed to let Dr. Deaner onto the pitch —as anyone who has ever tried to talk to a steward knows.) There is the story of how he tries to explain League rankings to Americans (less than successfully) and how he hopes that his sons (of course they are Arsenal supporters as well) will get to see Arsenal triumph. There is the story of the match between the QPR and Manchester City–which Manchester City won in injury time by scoring two goals in four minutes. Above all, this is the story of the ups and downs and the emotional drama of being a devoted fan of…. any team really, no matter how wealthy or poor it may be. It is a book that any sports fan will immediately relate to.